A technical search specialist in a training once remarked that his job was a little like the popular children’s books “Where’s Waldo”; only with life and death consequences. The key, as he stated, is to be able to visually scan a scene with a victim location camera inserted into a void space and identify what seems out of place with the surroundings. This out-of-place visual detail can be key in identifying the presence of a trapped victim. This is because, in a victim location operation following a building collapse, the technical search specialists rarely have the luxury of discovering a complete human form in the image. Often it is only a small detail or unusual pattern in the visual image that may indicate the presence of a victim. This process can be as difficult as the old saying, “like finding a needle in a haystack”. Collapse rescue–victim location operations can even be described in more challenging language. It can be described as, “like seeing a needle in a haystack” – from 30 feet away! The ability to zoom into, and focus in on, an unusual or out-of-place portion of the visual image allows the USAR personnel access to more key visual intelligence that could help the identify a victim, or something associated with one, indicating a victim may be nearby. In one event, the technical search specialist was looking into a collapse and spotted a small area with an unusual pattern amongst the debris. Upon further visual inspection, it became clear that what he was looking at was the bottom surface of a molded sole of a work boot. As it turned out the sole was attached to a boot…that had a foot in it…which was attached to…the body of a trapped victim. 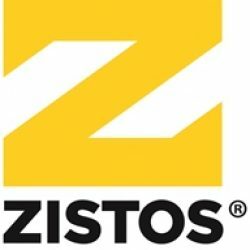 The Zoom Rescue System (ZRS) from Zistos provides more detailed, higher resolution video images — superior to standard fixed focus systems — that allows users to zoom up to 10x on an object in extreme detail when searching in a collapse scenario and to see objects up to 40-50 feet into a void space. The real-time images generated by this system now allow rescue personnel to identify subtle signs and visual indicators that otherwise might be missed. The self-illuminating, Zoom camera head has a true 10x optical zoom which lets you magnify small areas in a void space. The system also includes an interchangeable fixed focus camera with smaller diameter for insertion into tighter areas. The Zoom Rescue System comes equipped with the newly improved, sunlight viewable, WalkAbout III display that has four times the pixel resolution as the previous model. A built-in DVR records video to an SD memory card available as an option. Battery-powered, rugged, weatherproof, and with on-screen indicators for battery life and LED intensity, the unit is worn on the body and is available as a standard display or low profile split display. The Pole itself features 180-degree (+- 90-degree) articulation; a twist of the handgrip allows vertical and horizontal panning. It has easy use locking collars between sections, and is waterproof and submersible. Poles quickly connect and disconnect from the display; hard wiring provides reliability and security that wireless systems cannot. The fully compatible ZRS also comes with a two-way audio module with headphones for listening in addition to seeing into the void. The capabilities of the Zoom Rescue System help Search Specialists find and identify clues that can make the difference between life and death. For over 12 years, Zistos has committed itself to the design, manufacture and sale of video inspection solutions that enhance the safety and effectiveness of tactical surveillance, search & rescue, counter terror & search and industrial inspection efforts. They can be configured and set up in the field in seconds thanks to custom design engineering and component interchangeability that keeps costs down and ensures the equipment is always leading edge.